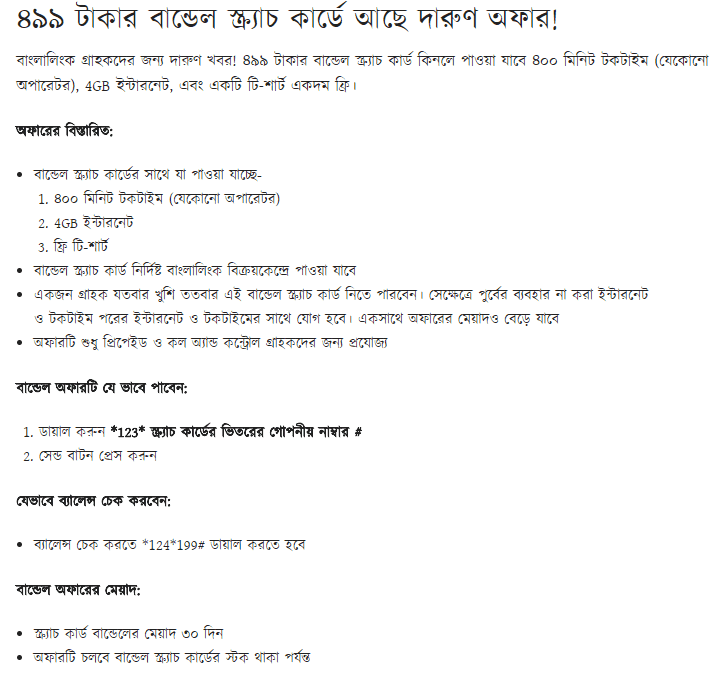 Banglalink Special Recharge Offer T-Shirt Free with Bundle! Get interesting offers with 499 scratch cards! 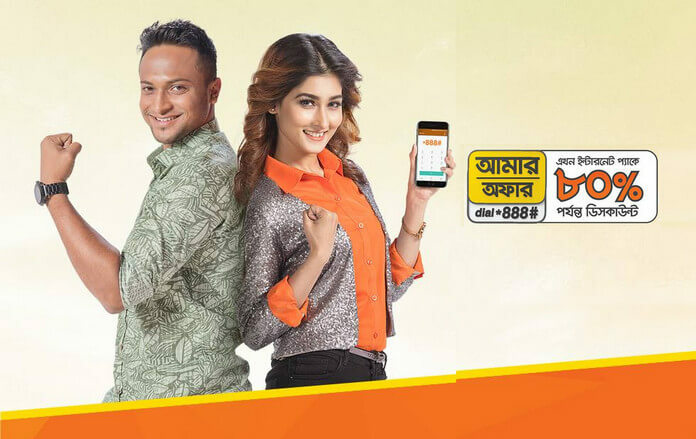 The Banglalink Eid special gift offer 2019 Great news for Banglalink customers! 499 Taka bundle scratch card can be bought by buying 400 minutes talk time any operator 4GB internet, and a T-shirt is absolutely free. 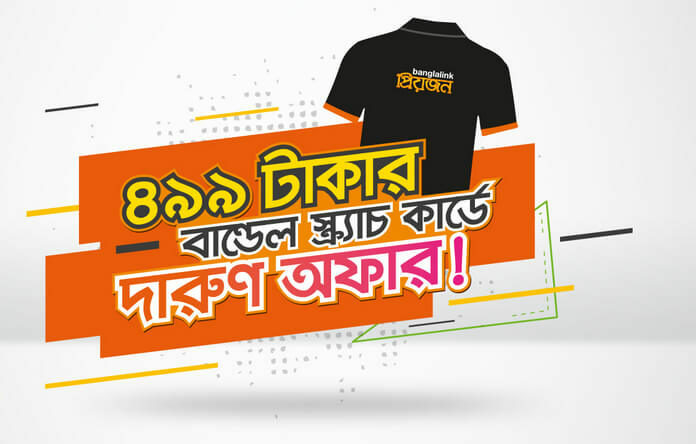 Banglalink Ramadan gift offers 2019, Eidul Fitr 2019 T-Shirt free bundle offer details here, Banglalink T-Shirt free offer with bundle details, how to get Banglalink free T-Shirt eid gift. Banglalink Special Recharge Offer T-Shirt Free with Bundle! Get interesting offers with 499 scratch cards. What is available with the bundle scratch card? Bundle scratch cards can be found at specific Banglalink sales centers. The offer is only applicable for prepaid and call and control customers. Dial *123* Secret Number of Scratch Cards. Dial *124*199 # to check the balance. The validity of the scratch card bundle is 30 days.